This week I am posting a throwback to Kori and Josh! 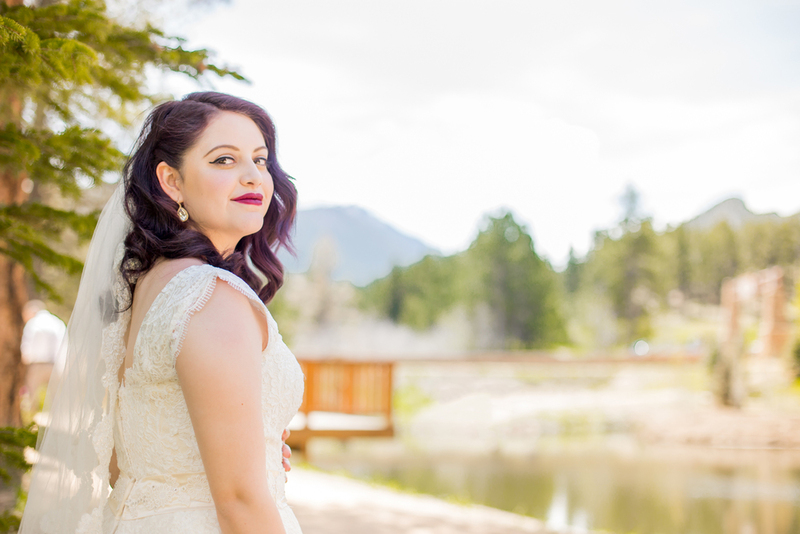 We all went up to the Meadows at Marshdale in the gorgeous Evergreen, Colorado last February to tell their story of love, and my are they gorgous! There's no better landscape for engagement sessions and weddings like venues covered in snow. Congrats to you both! Thank you to the amazing Jenae Lopez Photography for letting me tag along to witness magic! Ecclesiastes 4:12- Though one may be overpowered, two can defend themselves. A cord of three strands is not quickly broken. This verse was the inspiration for a beautiful day. I had been waiting to witness this lovely couple become one for such a long time! 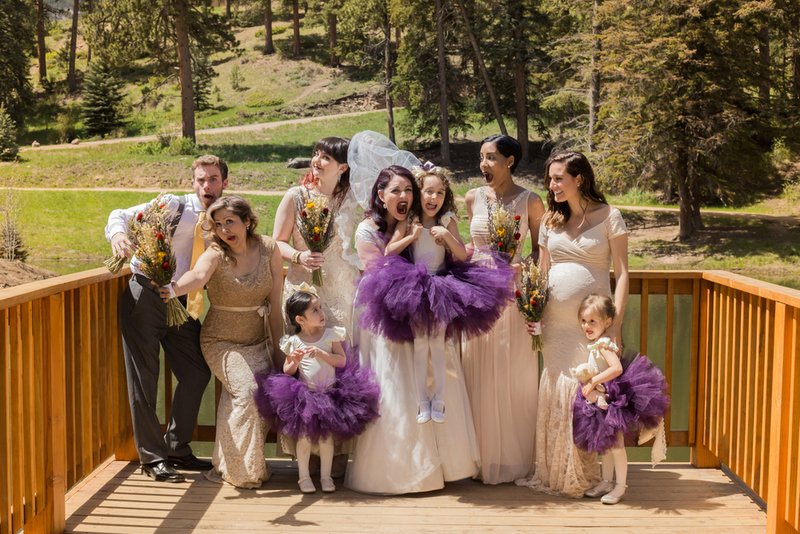 Sarah and Jeremiah- along with their sons Kai and Eli wed atop a hill in Moraine Park in Estes Park, Colorado. It was a bright, beautifully sunny day and the light was just purely magical. The bride and groom have such a connection, an understanding, patience and are so truly kind. I have never seen the two of them do more than smile like kids at one another. Every time Sarah talks about Jeremiah, there is a beauty, a radiance, and true happiness that dances across her face. He looks at her like the world lives and breathes through her. I have captured their story throughout the years, through their pregnancy and beyond. Sarah and Jeremiah have been tied to each other from their first date. He has joyfully embraced Kai as his son, they brought Eli into this world; and the 4 of them have built a home with each other, their 2 cats and dog that anyone in this world would be absolutely lucky to have. Sarah's best friend, and maid of honor is also one of my best friends. Sarah and Jennifer have been friends since middle school. Their stories together are so amazing, they got in way too much trouble together, and also had too much fun; just like all best friends should. To see the two of them interact on Sarah and Jeremiah's special day was an experience I will never forget. There were so many times I wiped tears from my eyes getting to see these moments come together. Seeing my own childhood best friend get married, I understand the memories, the dreams of this day and how crazy it is once it is actually THE day. It's emotional to watch someone you've grown up alongside join their lives with their new best friend for life. 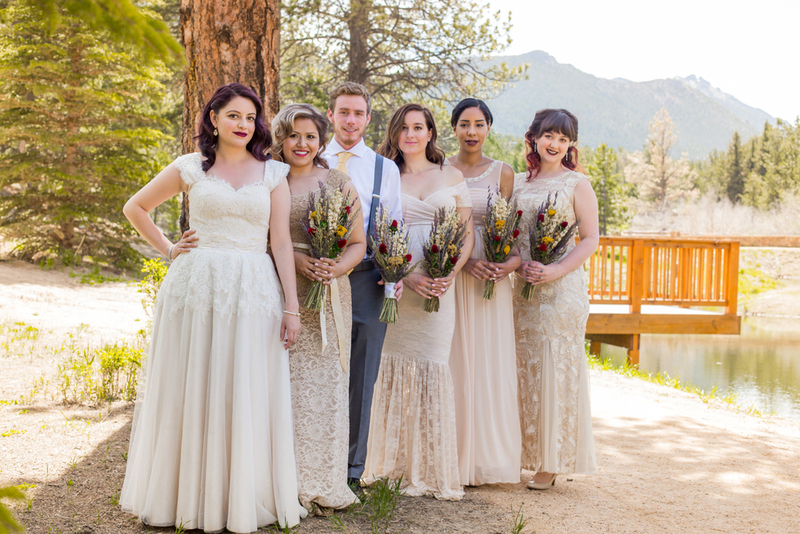 As we made the drive up the canyon to the ceremony, there were no jitters, just readiness in the days' excitement. 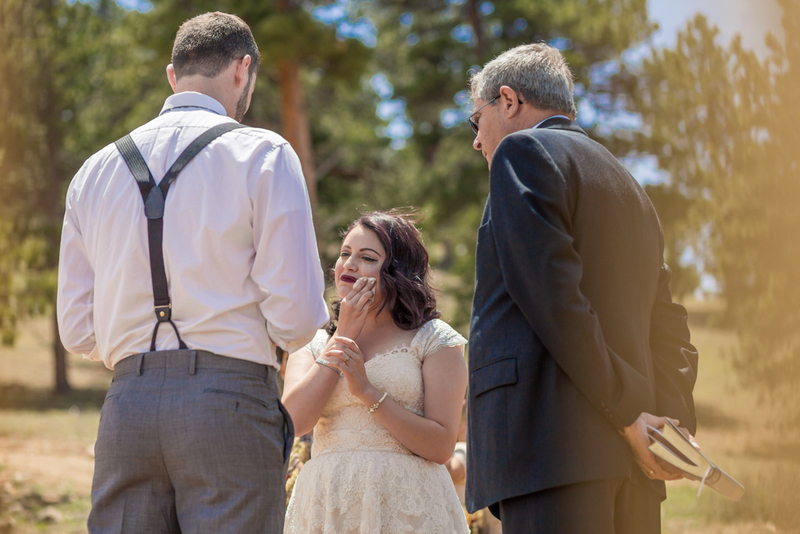 We watched Sarah greet Jeremiah one last time walking up a trail to her fiance. They prayed, read heartfelt vows about love, patience, understanding, family and God. Braiding a very meaningful rope together- with the verse, "though one may be overpowered, two can defend themselves. A cord of three strands is not quickly broken;" and poured sand in unity, layer by layer as a family. Jeremiah scooped Sarah up and dipped her so elegantly as their kiss sealed this intimate ceremony for us. It is elk mating season, and very popularly up in Moraine Park. We watched the flood of cars pouring out of Rocky Mountain National Park trying to get a glimpse at the nature, sun and sky, but little did everyone know that we had the best views that day. The bride and groom celebrated with hugs, to their family and friends, and I may have made them kiss for me a little too long. Their portraits are so unique and their connection begged for some embraces to rival our gorgeous venue! Weddings- especially elopements, are so much more fun for me to be a part of because of the pure serenity of such a great moment only shared with a few people. 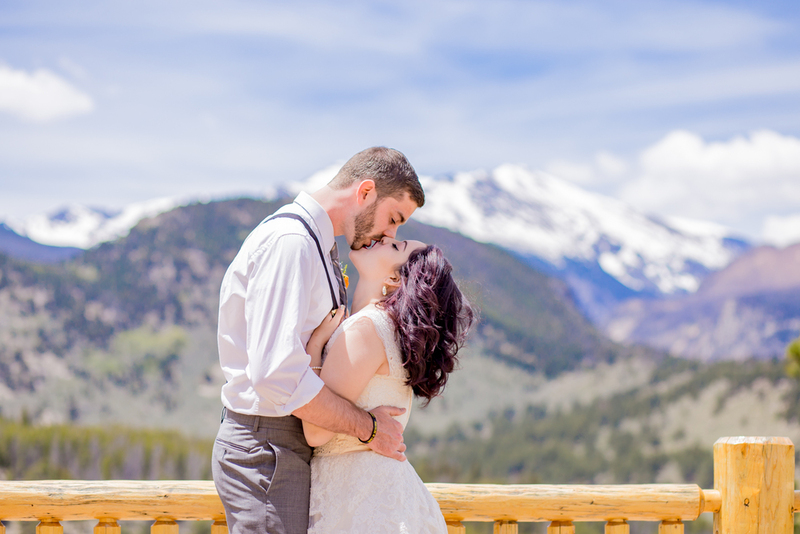 I feel so connected to my couples when it is just us, them in front of my lens, and Colorado sky giving us beautiful days to spend together. With a quick signature on the back of a truck bed, a few shots of Sarah and Jennifer's bouquets, some ring fun on pinecones (my favorite,) our day ended atop our mountain we shared the bride and groom's love with. Thank you so much to all of the Carson family, and everyone that put this day together. I was so ecstatic to be a part of such an epic love story such as yours! 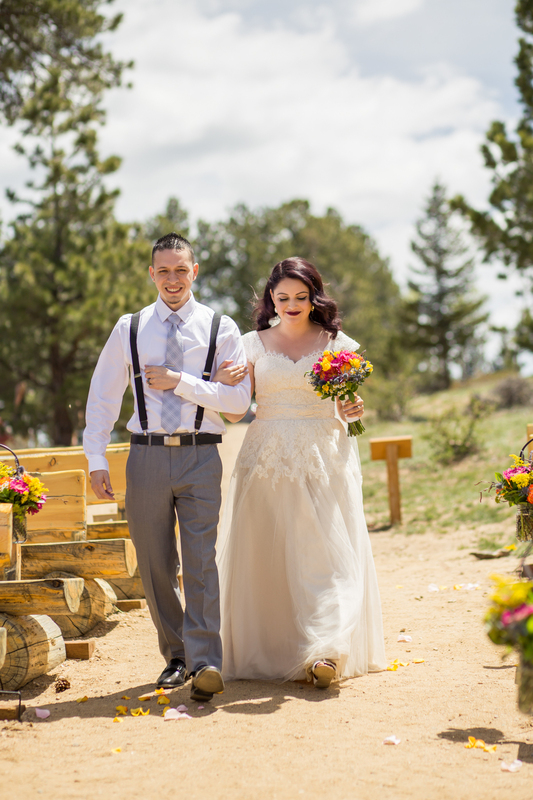 Here are some photos from their gorgeous day of marriage! Jeff and Veronica are some of the most adorable, authentic couples I've ever photographed. They light up around each other in a way that I don't see that often. They melt into another and you can tell that they're best friends. For real guys, how beautiful are they? A simple guitarist strumming "A dream is a wish your heart makes," had me hiding tears while their precessional started, a walk down the aisle from Veronica's brother was so touching. 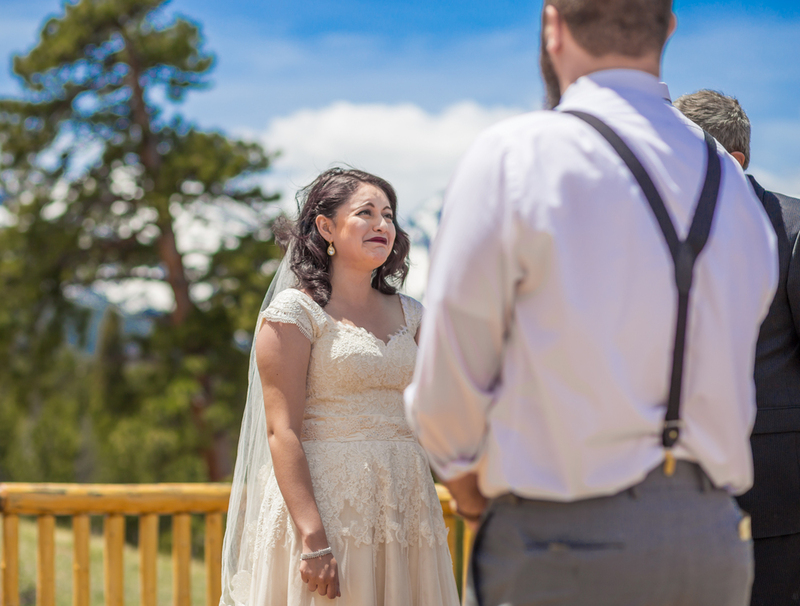 Some of the most heartfelt vows were exchanged as a big, blue clear sky hung open to the gorgeous Rocky Mountains behind them. "I promise to always hold your hand when we go over bridges," Jeff said. He had me laughing because I too, have a fear of them. They compliment each other so well, even with their words exchanged. I would've guessed they wrote them together. Tears were shed, family was thanked for all their love and support, and we all witnessed pure magic. After the ceremony, they kissed for me (a lot,) sang some N'sync, and the groomsmen got to walk down the mountain as t rex's. I was elated to witness their goofiness and friendships. These cuties met in 2013 while working at a local coffee shop, and have been together for 2 years but it looks like they've been lovers much longer with the way they interacted. 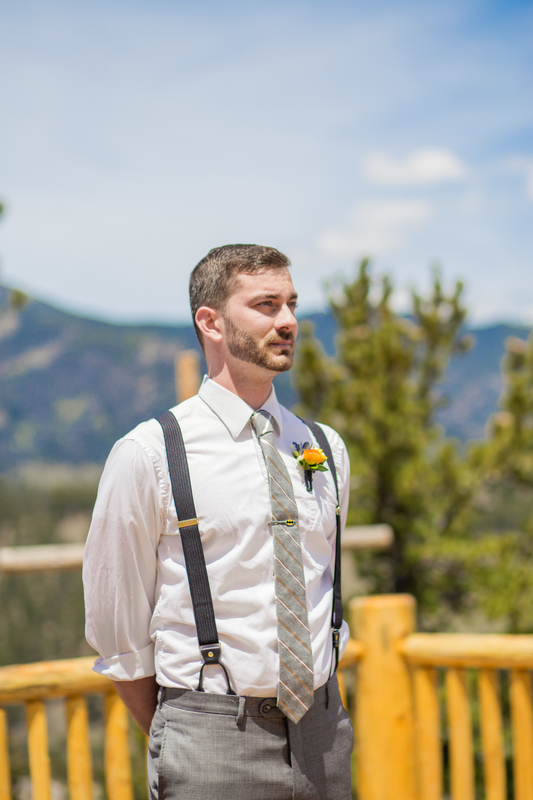 All the way from Indiana, they decided to make Colorado the space they would say I do in front of their closest friends and family. They enjoy visiting local coffee shops, trying new beers, pairing them with cigars (how awesome,) and all around, adventure and be the coolest two cats ever. They claim to not like picture taking, but their passion determines that that is a lie!